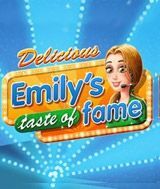 Download Delicious - Emily's Taste of Fame for free at FreeRide Games! 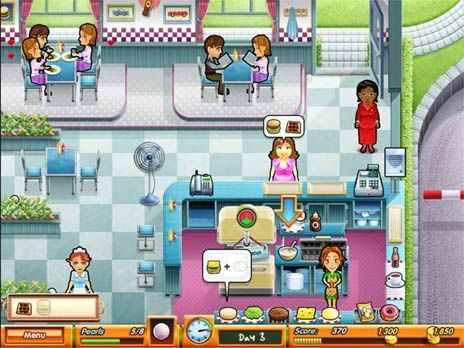 Emily's back and ready for prime time in Delicious: Emily's Taste of Fame, the latest chapter in the hugely popular Delicious series of games. Emily's trip to Hollywood and her new cooking show, Emily's Taste of Fame, comes to a sudden halt when her trusty car breaks down in a small roadside town. To make matters worse, Emily has no money for repairs. Fortunately, Snuggford is full of culinary crises and Emily always leaps at an opportunity to roll up her sleeves. Help Emily get on the road again in this Time Management game by whipping up scrumptious meals and serving them to a huge variety of customers, both familiar and new, in loads of challenging levels. And, just like in real life, every level features an unexpected event that's sure to keep you on your toes. Will Emily make it in the big time? Or, are there more important things than fame and fortune? Join Emily for the adventure of her life today.